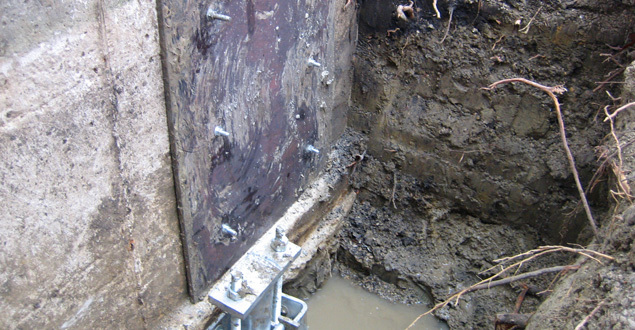 Ground in which your concrete and foundation rests is not in a static condition. It is always on the move, especially in a climate like ours which undergoes annual droughts and freeze-thaw cycles. We refer to this movement as seismic activity. Also, ground water tables change constantly, resulting in changes in the amount of water pressure exerted on your concrete walls, floors and foundation. Water in the basement is often attributable to two main causes - a faulty/absent drain tile system or wall cracks. © 2018 CementWorks LLC | All Rights Reserved. | Chicago Web Design by Weblinx, Inc.